All drivers should be equipped to handle blind spots when on the road. Do you know where the blind spots are in your vehicle? 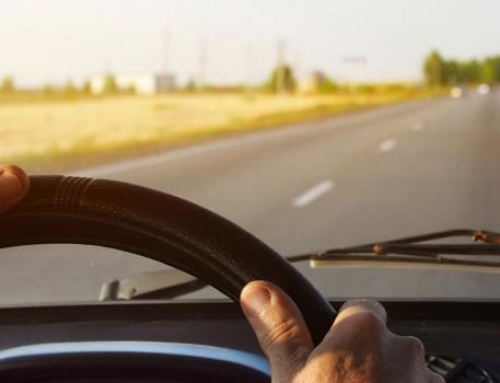 Are you able to determine where another driver’s blind spots are? Blind spots are the areas on both sides and rear of your car that can’t be seen in your rear mirror or side mirrors. It is important to make sure these spots are free and clear before changing lanes or merging into traffic in order to avoid a collision. This means you’ll have to physically turn around and check your blind spots before executing the lane change. A brief check around your shoulder and several looks in your mirror every 3-5 seconds is enough to ensure you’re safe to move over. It is crucial to understand that all drivers, regardless of the type of vehicle they drive, have blind spots around their vehicle. As a proactive driver, it’s your job to be able to point out other’s blind spots as well as your own. Physically turn to asses the blind spot(s) and also utilize your mirrors. Keep windows free of potential obstructions that can hinder sight checks (eg. clothes hanging in front of the window). Do not linger or cruise in another driver’s blind spot for a long duration. Keep a healthy distance between yourself and other cars. Use your turn signal every time you change lanes—allowing enough time between initiating the signal and changing or merging lanes. blind spots and spot vehicles in your blind spots. The sizes of a vehicle’s blind spots are directly related to the size of their vehicle. Remember, the bigger the vehicle, the bigger the blind spot. The blind spots of a semi-truck are so large and dangerous that they have a special name—we call them NO-ZONES.